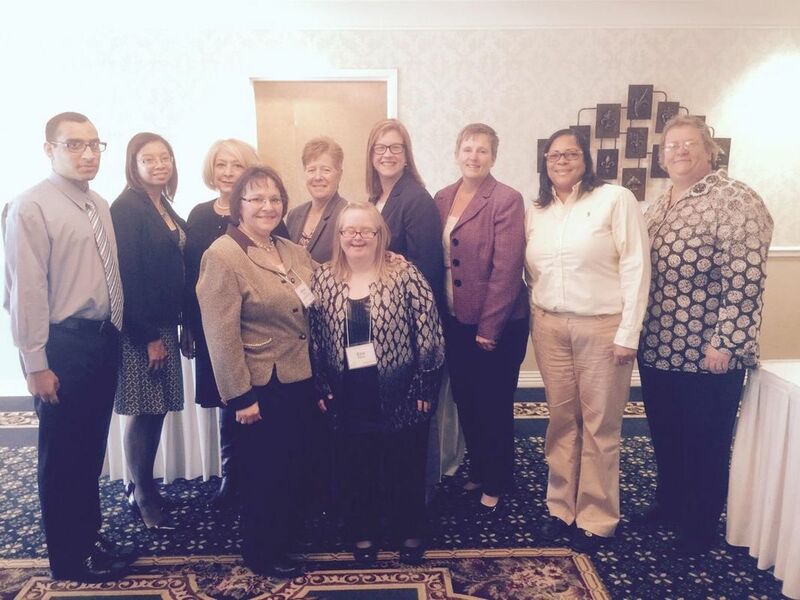 The Delaware County Advocacy & Resource Organization speaks out at local, state, and nat﻿ional levels. The Delaware County Advocacy & Resource Organization strives to inform families of upcoming legislation proposals and changes that directly impact individuals with disabilities. The Delaware County Advocacy & Resource Organization also encourages constituents to contact their local, state and national government officials to let the staff in Harrisburg and Washington know that individuals in Delaware County care about the decisions they are making in regards to individuals with disabilities. Left to right are: (front) Diane Perry, President of the Delaware County Advocacy & Resource Organization Board of Directors, Eric Perry, (back) William Deltoro, #IWantToWorkCampaign, Tammy Ruffin, Maria Donatucci, (PA-185th District); Susan Proulx, Deputy Administrator Delaware County Office of Intellectual Disabilities, Leanne Krueger-Braneky (PA-161st District); Colleen Shepherd, Delaware County Advocacy & Resource Organization Board Member and Eileen MacDonald, Executive Director of theDelaware County Advocacy & Resource Organization.